Masflex Non Stick Cookware warrants the handles, body, knobs, lids and fixings of the non-stick pan to be free of any manufacturing defects from the date of purchase for a period of 12 months. Masflex Non Stick Cookware warrants that the cookware will have no defects in material or manufacture that will render it unserviceable for the duration of the first user’s ownership, beginning on the date of purchase by the first user. Failure to follow the accompanying Use and Care instructions or use of the Cookware in commercial applications will void this warranty. Replacement warranty also excludes breakages and consumable items. For warranty coverage, you must present your receipt to prove date of purchase. 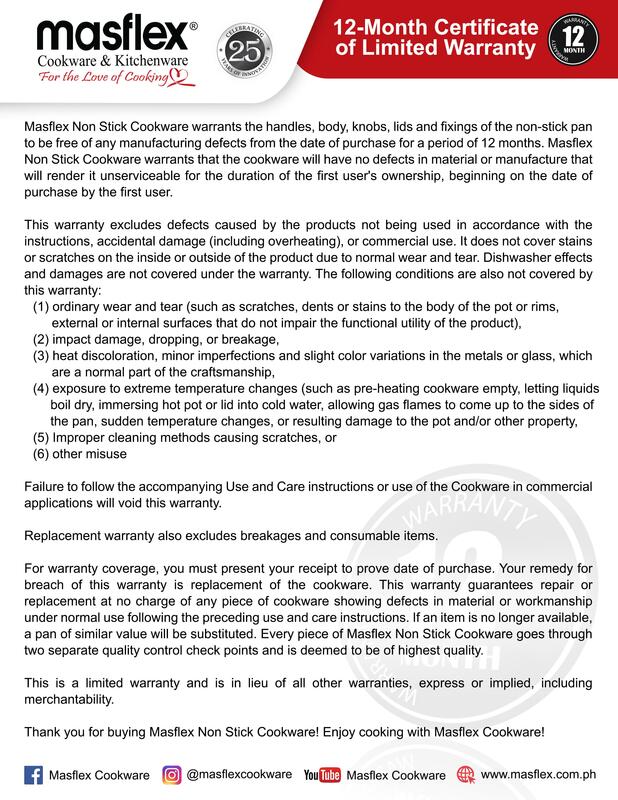 Your remedy for breach of this warranty is replacement of the cookware. This warranty guarantees repair or replacement at no charge of any piece of cookware showing defects in material or workmanship under normal use following the preceding use and care instructions. If an item is no longer available, a pan of similar value will be substituted. Every piece of Masflex Non Stick Cookware goes through two separate quality control check points and is deemed to be of highest quality. This is a limited warranty and is in lieu of all other warranties, express or implied, including merchantability. 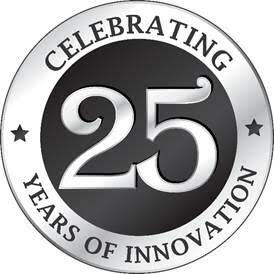 Thank you for buying Masflex Non Stick Cookware! Enjoy cooking with Masflex Cookware!